Beladcom, the Jordan-based game developer and regional pioneer in the industry, and Entropia Universe AB, the largest Massively Multiplayer Online Real Cash Economy (or MMORCE) game, announced today the launch of Planet Toulan. Planet Toulan is the largest-ever MMORPG inspired by rich Arabian mythology and culture. Toulan is an ancient Arabic word that means extremely mystical and captivating. This MMO puts players in morbidly hot deserts, swamps teeming with unthinkable creatures, mountains blanketed with perilous sheets of snow and all 600 years after an apocalyptic war. Gamers will help colonize the inhospitable lands and rebuild the nation to its past magnificence. Along with a plethora of professions and skills to choose from, players will be able to follow quests, hunt mythical creatures and explore magnificent landscapes, all the while discovering Toulan’s history. 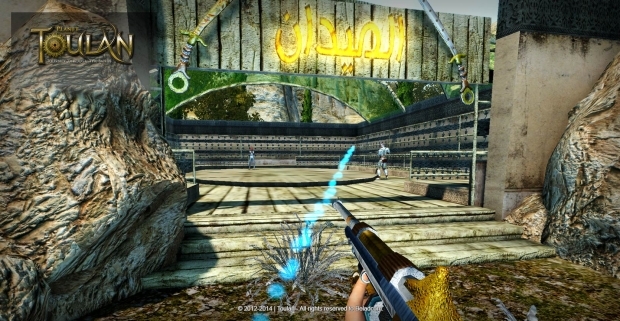 The amazing game soundtrack was created by international composer Tareq Al Nasser. For more details on Planet Toulan please go to www.planettoulan.com. This new world is the latest edition to the highly successful Entropia Universe platform created by MindArk.